This post isn’t about using social profiles to build links to your website – you can find in this post on social media link building. What this post covers is building links, both internal and external, to your social profiles themselves. Why Build Links to Social Profiles? Most people, businesses, and brands want the information that appears first in search to be positive and, preferably, controlled by them. One way to dominate SERPs is by having your website, along with your top social profiles and pages, come up on the first page. Just like anything else that you want to rank well in search, you’ll want to build links to those social profiles and pages. Another great reason to build links to your social profiles – especially internal links from the social network itself – is to increase the authority of the profile or page. There’s no definitive answer on how social networks like Facebook choose to rank pages in Graph Search, or how Twitter chooses to rank profiles in their search. But one could assume that the number of mentions a profile or page gets, especially high authority ones, could have an impact on their rankings. Now that you know a few reasons why, let’s look at a few ways you can build links to your social profiles. Simple text links in author bios on your blog. Links using small social icons in the header, footer, or sidebar of your website. Official follow, like, circle, and connect badges (not necessarily great from the link building aspect, but makes it easier for people to follow you). Not only will these help increase your social following, they will create official links connecting your main online platform to your social networks. Also, don’t forget about other opportunities to link to your social profiles, such as in author bios on sites you contribute to, forums that ask for your social profile usernames, local review sites that have the option to add your social profiles, and pretty much any other chance you get to link to your social profiles. While they are nofollow links, one way to create backlinks from multiple personal profiles to one main company profile is to mention the company profile in other profile bios. One great example of this is HubSpot – many of their employees mention the main HubSpot Twitter handle in their bios. If you consider the authority of each Twitter user and number of followers they have combined, those could easily be considered some high authority backlinks to the HubSpot profile. Want to make this work for you? Simply ask your employees who are active Twitter users to include your company’s @username in their profile bio! Similar to linking a company’s Twitter handle to employee’s personal Twitter profiles, you can also link a company Facebook page to employee’s personal Facebook profiles. Unlike Twitter profile links, these links are dofollow. Again, you’re talking about getting a link to a company page on Facebook profiles with high authority and, in many cases, lots of followers. Want to make this work for you? Simply ask your employees to add their current job information to the Work and Education section of their profile’s About information. Make sure they hover over the company name to ensure it is actually linked to the Facebook page and not an empty Facebook places page (yes, it still happens). Another way to build some high authority links to your social sites is to do a little cross promotion. Google+, for example, asks you for your profile links on the about tab for your profile or page. Take advantage of these to create dofollow links to your social profiles and pages. Pinterest allows you to connect to Twitter and Facebook, thus adding a nofollow link to each on your Pinterest personal or business profile. Any time one social network asks you to link to another, take advantage of it as a way to interlink them all together. Just like you research backlinks to competitor’s websites, you can research links to their social profiles as well (or see what links you have to your own social profiles). You can even see a nice visualization of the dofollow vs. nofollow backlinks. This can help you discover different types of link building opportunities where only a competitor’s social links are shared vs. their website link. Do you know what the best part of these three strategies is? Each will help you increase exposure for your company, which means more followers, fans, and leads. Even if you don’t believe in the power of building links to your social profiles for rankings or other reasons, do it for the sheer increase in exposure. It’s worth it! 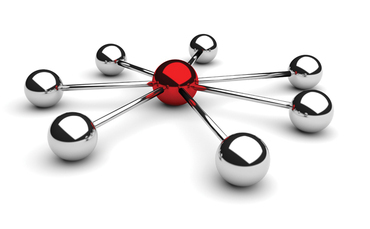 Do you do any link building for your social profiles? Have you seen good results? Please share in the comments.